David was born in Yellville, Arkansas, USA. He attended the University of Arkansas-Fayetteville and University of Missouri-Columbia where he received a BSc in Agriculture (1980) and DVM (1984), respectively. He dual enrolled in Graduate School during his freshman year, earning an MSc in Veterinary Pathology by the end of summer 1984, studying avian pathology under Dr Arthur Bickford and the late Dr Darrell Trampel. He furthered his graduate studies in Veterinary Pathology at the University of Georgia on Marek’s disease under Dr Oscar Fletcher, finishing the PhD in 1987. 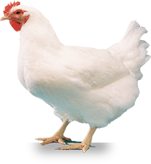 David is dual boarded by the American College of Veterinary Pathologists and the American College of Poultry Veterinarians (ACPV). From 1987-1994, he was an Assistant and Associate Professor on the faculty of The Ohio State University, Departments of Veterinary Pathobiology and Poultry Science, where he served as an Avian Pathologist. During his first year as a professor, Dr Swayne began conducting collaborative research with Dr Richard Slemons on avian influenza in wild waterfowl, which has become his passion and a lifetime career. David joined the Southeast Poultry Research Laboratory in Athens, Georgia where he has served as the Laboratory Director since 1994. SEPRL is the in-house USDA high biocontainment laboratory for research on poultry viral diseases, including avian influenza, and is an international reference laboratory for avian influenza and Collaborating Center for Research on Emerging Avian Diseases.Dr Swayne’s personal research has focused on the pathobiology and control of avian influenza in poultry, especially vaccines and vaccination. 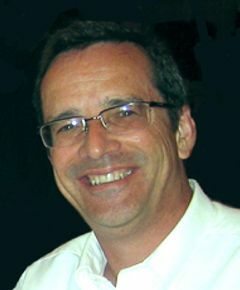 He has served on World Organization for Animal Health (OIE) international committees to update the avian influenza chapters in Terrestrial Animal Health Code and Manual, and served a sabbatical to OIE, Paris France, for 16 months to study highly pathogenic avian influenza control programs. He currently serves as Chair of the Executive Committee for OFFLU, the joint OIE and Food and Agriculture Organization of the United Nations Animal Influenza Network. He has participated in missions or conferences on avian influenza control and biosafety/biosecurity in 44 countries during the past 15 years. He has published over 285 peer-reviewed papers and 111 book or proceedings chapters, and has given 284 invited lectures on poultry health issues. He has served as the editor of the textbook, Avian Influenza (Wiley, 2008); Associate Editor (11th edition, 2003; 12th edition, 2008) and Editor-in-Chief (13th edition, 2013; 14th edition, 2018) of Diseases of Poultry (Wiley); and Editor of Animal Influenza (Wiley, 2016). He is on the editorial board of Avian Diseases, advisory board of Avian Pathology, and is an associate Editor for Influenza and Other Respiratory Viruses. He has served as President of the ACPV (1999-2000) and on the Board of Directors for American Association of Avian Pathologists (AAAP) (1998-2000). He has received numerous research awards including AAAP Pharmacia and Upjohn Animal Health Achievement Award, and Phibro Animal Health Award. David has been married to Anita for 35 years and they have three children, Rachel, Tyler and Kyle.